Straight out of left field, Nokia has today announced that its fourth quarter of 2012 was surprisingly solid, making its stock price spike. Revealing its preliminary financial results for Q4 2012, Nokia says ‘Smart Devices’ net sales came in at approximately 1.2 billion euros ($1.57 billion), with total volumes of 6.6 million units. Of those, Nokia, notes, 4.4 million units were Lumia smartphones. That means Nokia sold more Lumia phones than in the two previous quarters: the company said it sold 2.9 million Lumia devices in Q3 2012, which was down from 4 million in the prior quarter. Not to kick in an open door, but Q4 2012 included the end-of-year holiday season, making it traditionally stronger than other quarters. In all, total smartphone volumes in Q4 2012 were 15.9 million units – 9.3 million Asha full-touch ‘smartphones’, 4.4 million Lumia smartphones and 2.2 million Symbian smartphones. 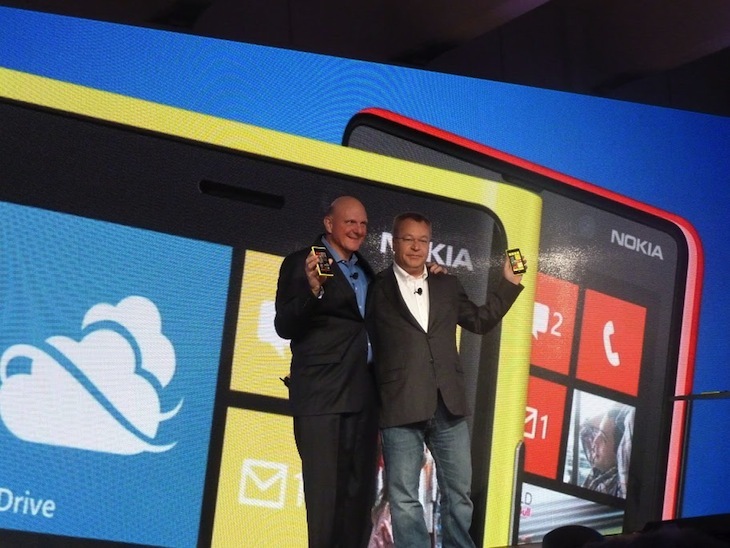 Yup, Lumia finally beat Symbian! In its press release, Nokia says its ‘Devices & Services’ unit likely exceeded expectations and “achieved underlying profitability” in the fourth quarter of 2012, as both its Mobile Phones business unit and Lumia portfolio delivered better-than-expected results. Furthermore, Nokia notes, operating expenses came in lower than expected. That always helps. Nokia pegs Devices & Services net sales for Q4 2012 at approximately 3.9 billion euros ($5.1 billion), with total device volumes of 86.3 million units. Nokia also estimates that Nokia Siemens Networks has exceeded expectations for the fourth quarter of 2012. “We are pleased that Q4 2012 was a solid quarter where we exceeded expectations and delivered underlying profitability in Devices & Services and record underlying profitability in Nokia Siemens Networks. The company further estimates that ‘Location & Commerce’ net sales in Q4 2012 were approximately 300 million euros ($394 million) and the non-IFRS operating margin was between 13 and 15 percent. Nokia also shared a preliminary outlook for Q1 2013: it basically expects operating margins for both ‘Devices & Services’ and ‘Location & Commerce’ to shrink, but expects its margin for Nokia Siemens Networks in the first quarter 2013 to be positive 3 percent-ish. The company says it will provide more details when it reports fourth-quarter and full-year 2012 results on January 24, 2013. We’re already looking forward to the earnings call.